Heat butter and extra virgin coconut oil in a skillet over high heat until butter is melted and begins to brown, 1 to 2 minutes. 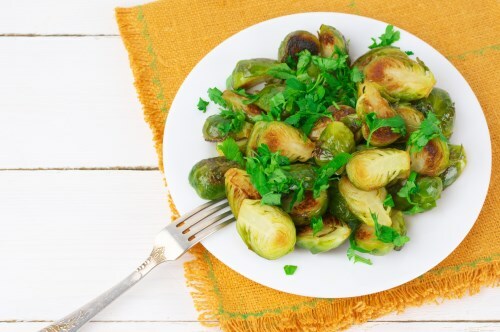 Stir Brussels sprouts and lemon juice into butter and oil; cook, stirring constantly, until sprouts are just heated through and starting to soften, about 45 seconds. Remove from heat.